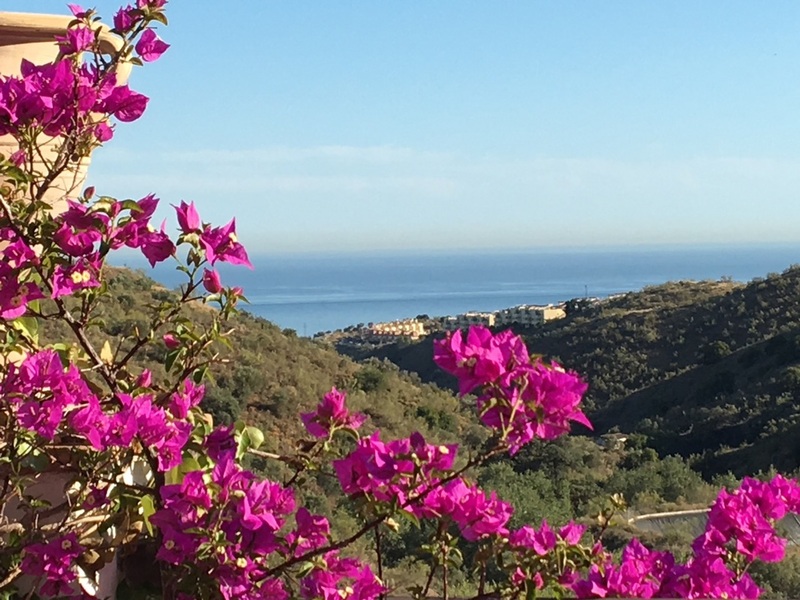 Join Sifu Matthew Cohen and Mimi Kuo-Deemer for a weeklong yoga, qigong and meditation retreat at Centro Santillán, a stunning retreat centre nestled in the open hills of southern Spain. Days will include morning and afternoon yoga/qigong sessions, meditation, and three delicious meals. 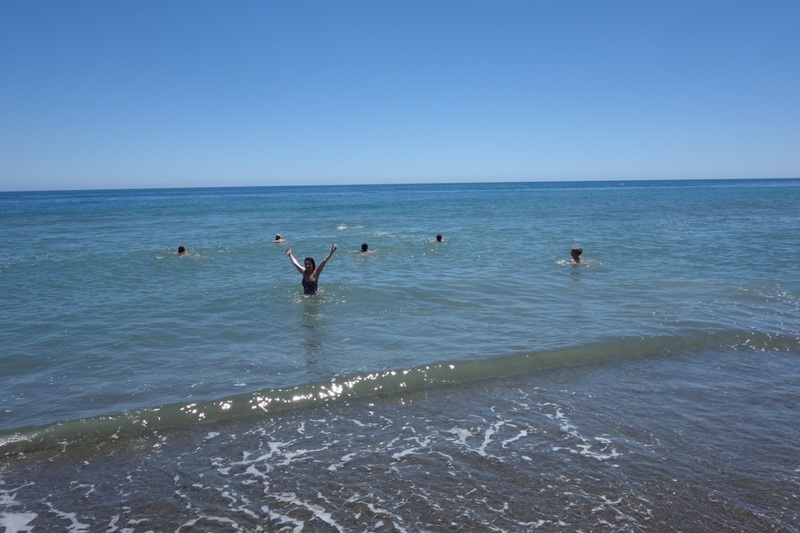 There will also be plenty of downtime for relaxing, walking the hills, swimming in a salt-water pool, therapies and having a siesta. Mid-week, there will also be a chance to visit the sacred Alhambra and historic city of Grenada. Throughout the week, Matthew and Mimi will explore the spirit of summer through integrated systems of healing. Drawing from Yoga, qigong, Buddhism, Chinese medicine and martial arts, their teachings invite students to explore authenticity, awareness and intentionality in a safe space. Their integration of practices works with the interplay of effort and ease, movement and stillness, softness with strength, and the sacred with the practical. Both teachers are always available so you receive more individual attention, hands-on adjustments and modifications as needed. 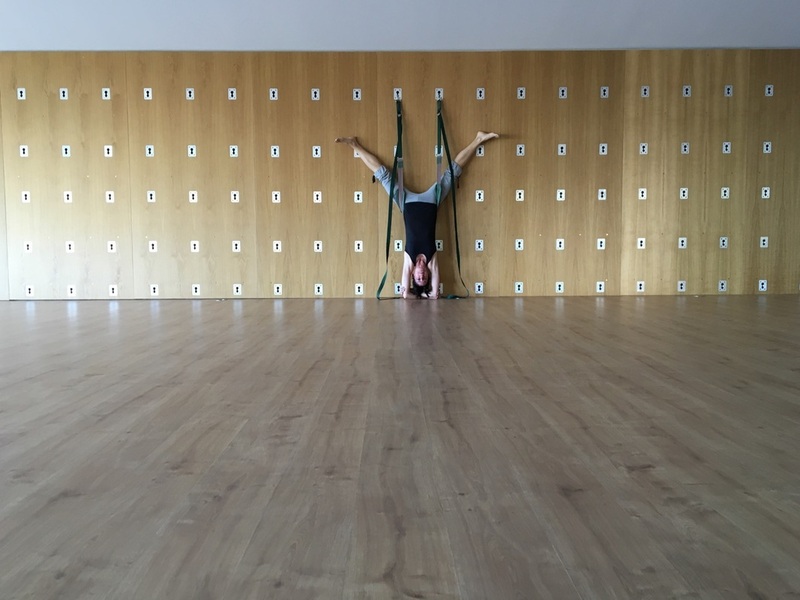 Through deep, lighthearted, playful and inspiring practices, Matthew and Mimi will explore how the richness of ancient teachings can be incorporated into our contemporary daily lives. 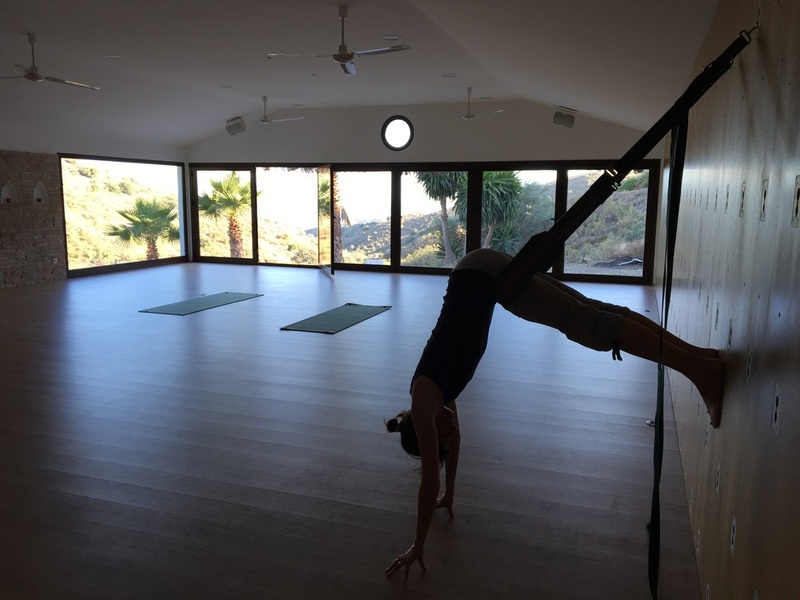 Days will begin with a light breakfast followed by gentle qigong, pranayama and meditation inside Santillán's stunning, state-of-the-art studio with views of palm trees and the clear, Mediterranean waters. After a full breakfast, we will have a long morning session including a dharma talk and active practice of yoga, qigong or a combination of both. There will be options given for all levels of practitioners. After a nourishing lunch, there will be free time to nap, book therapies, sit in the salt-water pool, chill out on a sun bed, play paddle tennis, or take a taxi to the beach which is just 7 km away. The afternoon yoga sessions will be gentle, relaxing and quiet. After dinner, there will be an evening meditation session to close our day. Mid-week, we will also have a half-day off. 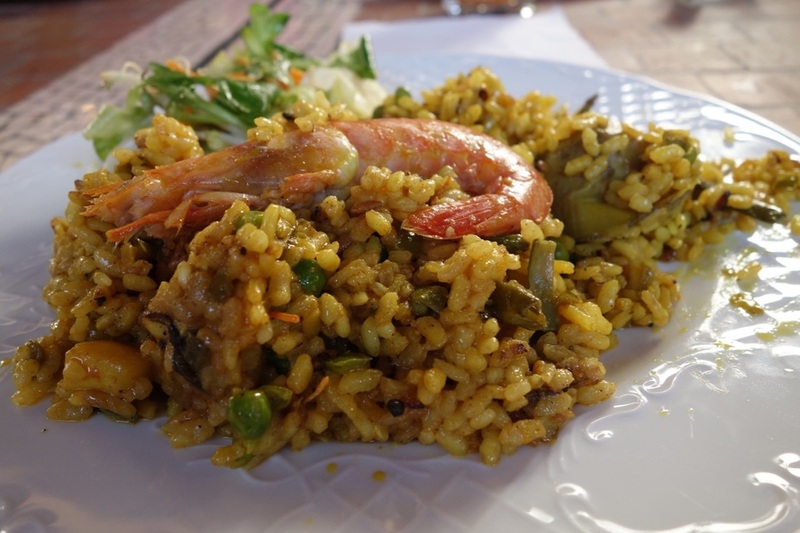 Participants are welcome to rest or visit the historic city of Grenada and visit the sacred Alhambra, a Unesco World Heritage site. Tickets must be booked far in advance for this. You will be asked upon booking as to whether or not you would like to join on this excursion. Please note, the cost of entry ticket and shared luxury coach, appox 15 euros for the ticket and 20 euros for the bus per person, is not included in the retreat costs). As these seven days are about meeting your personal retreat needs and practicing svadhyaya (self-study), all activities are optional. 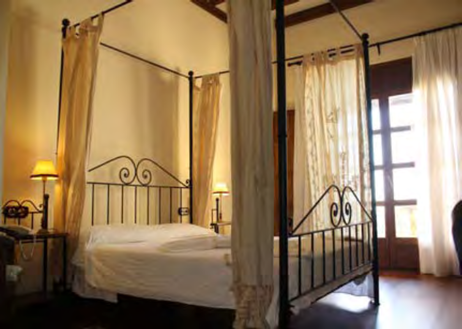 The spacious and beautifully decorated Spanish rooms at Santillan accommodate single, double, and triple occupancy. We will match you with roommate/s if you are coming by yourself and would like a double or triple room. All rooms include a bathtub and shower, toiletries, hair dryer, and air conditioner and/or fan. There are telephones for internal use, a safe deposit box, and a desk. 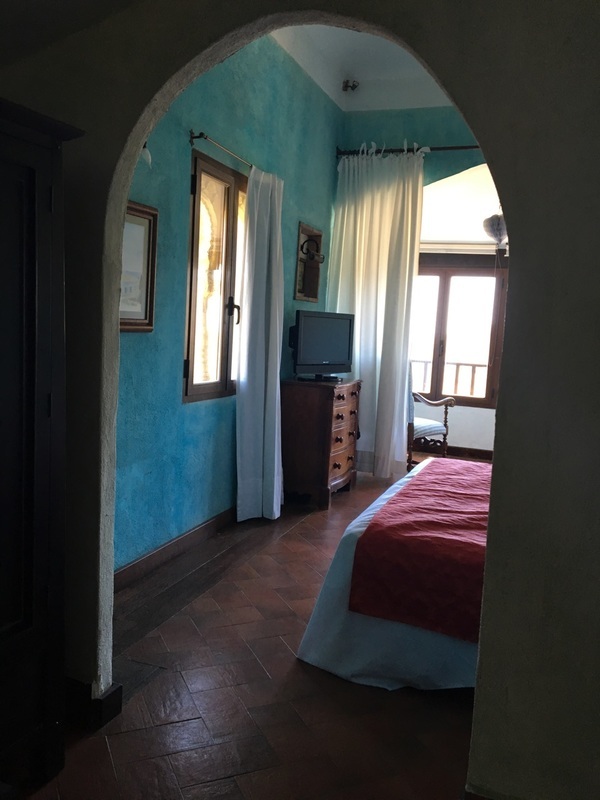 Each room has a balcony or patio with sea, garden or mountain views. 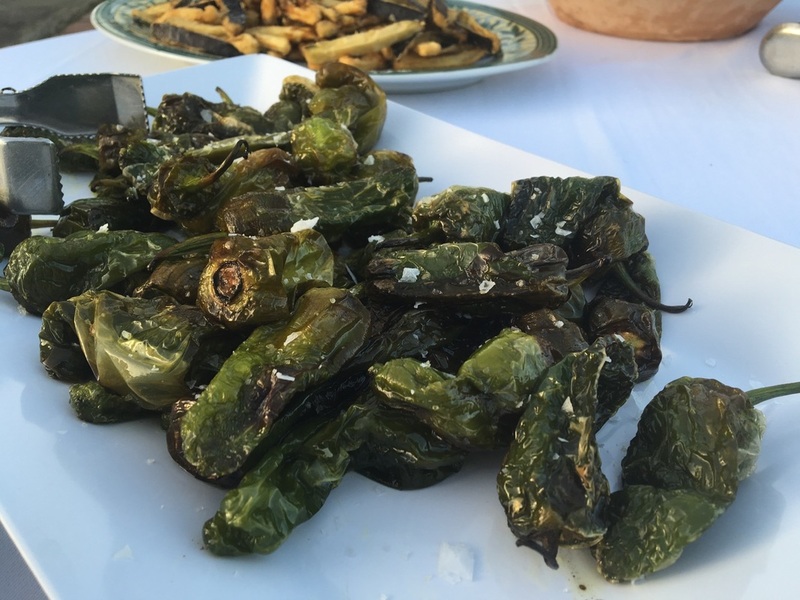 The meals at Santillan are lovingly prepared and are influenced by the Spanish and Italian cuisines. Tea, coffee, and still water are available 24 hours a day. Complimentary soft drinks, beer and wine are available on the first and last day. At all other times, beverages can be purchased at the bar; pay on check-out. Common dietary requirements will be honoured. 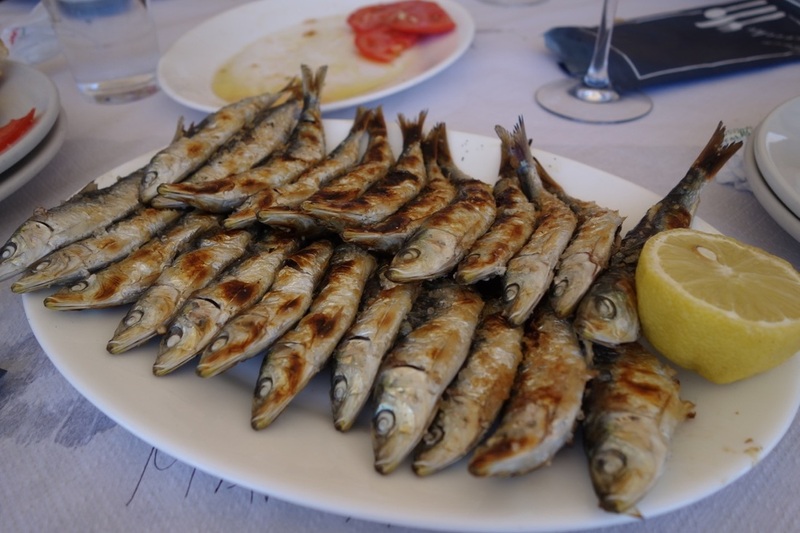 a visit to Malaga, Marbella, Alhambra, Cordoba, Sevilla, Alpujarras, Ronda, Nerja, Frigiliana, Gibraltar or Morocco with an English-speaking guide. The staff can help arrange this. Arrival day is Saturday, June 29, 2018. You are welcome to check in at 3:30 pm. If you arrive earlier, you're welcome to lounge by the pool until your room is ready. Check-out is 12:00 noon on July 6th. 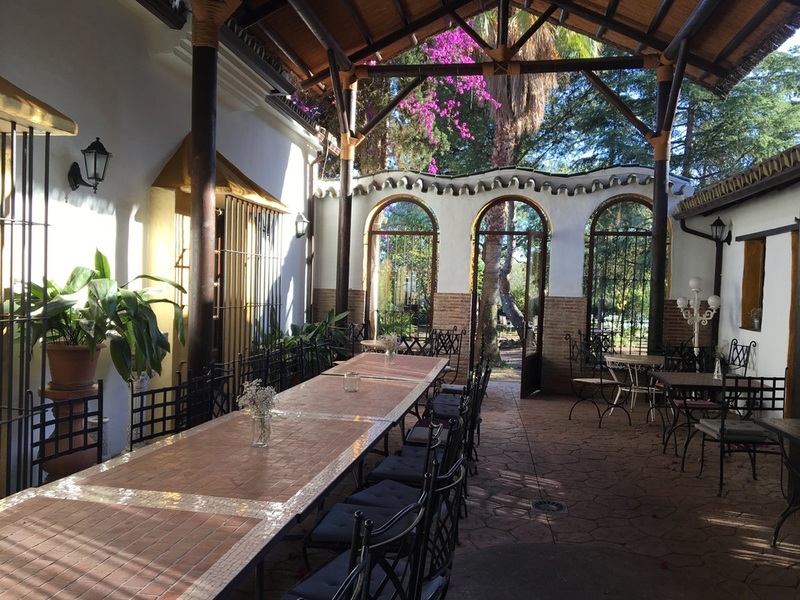 Santillan is about 36 km east of Malaga international airport which is serviced by a number of international and budget airlines. Shared taxis and minivans are available and group rates will be offered (usually approx 20-30 euros per person each way). We will help organise this service, should you wish, once we have your flight details. You can depart on July 8th after our final brunch. Return taxis will be arranged once at Santillan. We recommend booking a flight that arrives at before 2pm. For returns, we recommend a flight that leaves anytime at/before 2 pm. ​Check out www.easyjet.com, expedia.co.uk, or cheapflights.co.uk. There are direct flights from several US cities (JFK, Boston, Chicago, Las Vegas) to Malaga. Please note that because of the time change you will need to leave the US on June 30th to arrive in Spain on July 1st. Good websites to check for flights are expedia.com, kayak.com and cheapflights.com. A non-refundable deposit of £200 is required with this booking form to secure your place. Full payment before March 1, 2019 entitles you to an early bird discount (see prices). If paying after March 15, the remaining balance needs to be paid 30 days before start date of the retreat. If booking within six weeks of start date payment in full will be required upon booking. Payment can be made by check or bank transfer. ROOMS AVAILABLE ON FIRST COME BASIS. PLEASE INDICATE PREFERENCE FOR ROOM, AND WE WILL DO OUR BEST TO MEET YOUR REQUEST. Cost includes all yoga and meditation, qigong, meals and accommodation. Transportation not included. Bank transfer, cheque and Paypal are accepted. Pay your £200 deposit using the button above or by bank transfer (bank transfer preferred, as it avoids fees; details will be provided upon registration). PLEASE NOTE: YOU MUST ALSO COMPLETE AN ONLINE REGISTRATION FORM THAT IS SEPARATE FROM THE ONLINE DEPOSIT PAYMENT. Please use the link below to pay your deposit, or you can pay by bank transfer; details provided upon registration.